I'm lucky. I get to take photographs at music shows. The 'downside' (not really) to attending gigs is that I invariably buy some merchandise. Did I really need the Marissa Sandler tote bag? If shooting gigs was the only career move I'd be in a state of perpetual checkmate. Small venues are just as interesting as large ones even allowing for the more difficult lighting conditions. Live shooting is about mood and feeling as much as anything else. There were some really memorable shows in 2014. I collected some thoughts and memories from the stand out shows I attended last year. The ALS show at The Grand Social on 7th November, a launch for 'The Last of the Analogue Age' album, was certainly one of the top shows of the year. There are a multitude of reasons why is was such a great evening but here are some of the moments that made it special for me. the circling, sweeping movements of Joe Chester's guitar as it summons the lo-fi distorted anguished muttered prayers of a nest of bees into the room during the opening song 'Midday Class'. It might be Luke Kelly playing with Sonic Youth. the raised smiles as Brian Brannigan croons the words 'Punctured bicycle on a hillside desolate ' as the intro to 'We Know Where You Live'. A lovely nod to the influence that is The Smiths. A Charming Man indeed. the hushed room for the sadness and loss that drips from the lyrics in 'Last Seen'. A song to file with 'Suffer Little Children' by The Smiths or "Casimir Pulaski Day' by Sufjan Stevens. Yes, it is that good. the live version of 'We Start Fires', minus the slightly alien vocals, shone brilliantly, proclaiming what a great song it is. 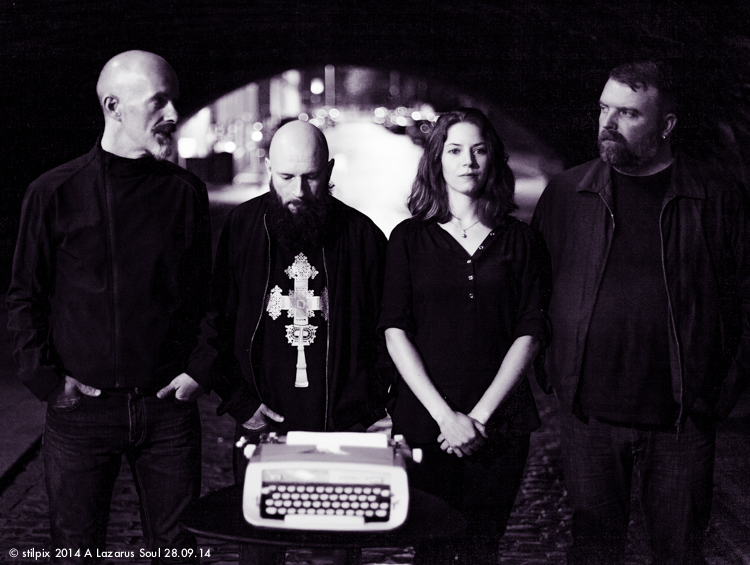 The line 'we're a river flowing backwards, flowing backwards to the source' might well apply to the subject matter of the band's current album, "Last of the Analogue Age.' 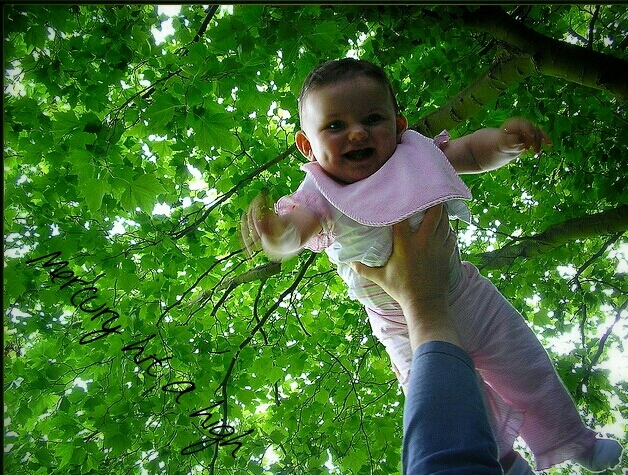 A collection of songs that revisit childhood and early adulthood. Other songs cast an observational eye on those less fortunate in Irish society and tell these important personal stories. the song 'Mercury Hit A High', well, for just being one of the best pop tracks of 2014. A first-rate love song embracing longing, commitment, the acknowledgement of loss/generosity and pure joy. The short support set performed by Brian Mooney who played with Dublin band, The Idiots. A songwriter new to me but the songs had an immediate resonance. This DolittlePresents show on 12th December was blessed with two of Ireland's most interesting singer/songwriters, Adrian Crowley and Katie Kim. 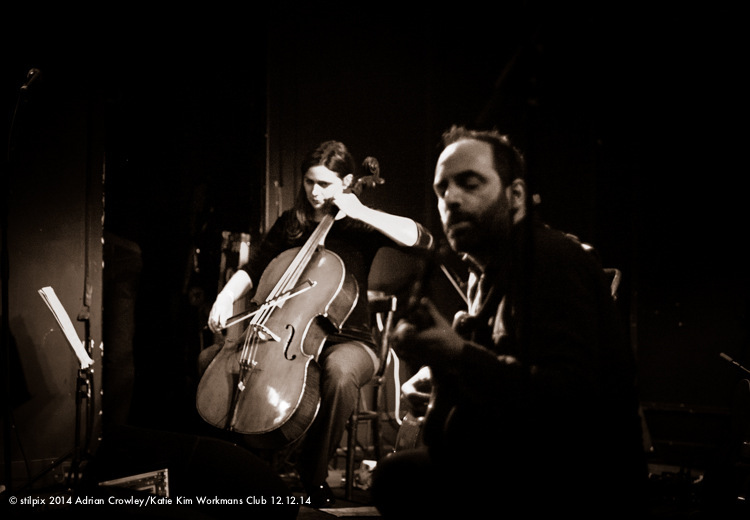 It was an intimate show performed at The Workmans Club, right on the banks of the Liffey. Crowley was joined on stage at various times by a number of musicians including Mary Barnecutt on cello and members of Seti The First (my favourite band named after an Egyptian Pharaoh). Katie Kim was most often called to the stage, not surprising since she performs vocals/backing vocals on six songs on Crowely's most recent album 'Some Blue Morning'. Kim herself provided support, playing a haunting set of songs before Crowley took to the stage. The simple guitar lines and her distinctive voice created an otherworldly atmosphere. She uses pedals and loops so effectively to create rise and fall in her performance. The songs from 2012's 'Cover & Flood' sounded much fuller and darker. Crowley himself was in fine form and something of a stage-master beckoning various musicians to and from the stage throughout the night. Crowley has released six albums prior to the 'Some Blue Morning' set of songs. Award nominations and wins have set him apart from his peers ('Season of the Sparks' won the Choice Music Award, Album of the Year, in 2009). His work has been described as reminiscent of Leonard Cohen, Johnny Cash and Scott Walker. I liken him to a rural Lou Reed. He's not waiting for his man, moreso wating for his Magpie. Reed, the story/song teller, saw the beauty and horror in an urban environment. Crowley sees something similar in the pastoral. For instance the introduction for the 'The Magpie Song" comically tells the story of the song's genesis.In short a family holiday in France falls under the influence of a increasingly malevolent magpie, the bird cutely entertaining at first but by holidays' end a dive bombing attacker requiring constant vigilance. This story dovetailed beautifully into the performance of the song. I was reminded of Hitchcock's 'The Birds" and my own experience as a child when a magpie was frantic in it's attempts to get through my half-open bedroom window at six thirty in the morning. My magpie was manically drawn to the jaunty, tinkling notes of 'O'Donnell Abu' (on my always-on radio), the identification signal for the national radio station (RTE). One for sorrow, nah, all for sorrow, those magpies. In Crowley's song the Magpie holds the final cards and ominously calls the narrator's name before he drifts off to sleep. Katie Kims backing vocals sounded magnificent, her spirit like 'Ooo Ooo Ooo' calls adding a twist of doom until the song's end. The most audacious song on the album is 'The Wild Boar', a spoken word story coming in at 7 min. 46 sec. Once again the back story introduction by Crowley just made the performance better. The piece is a attention grabbing slice of sound-noir. Someone will make a fine black and white short movie of this, full of atmosphere, stars, trees, broken glass, freezing breath and a resurrecting boar. Other stand out songs from the set included 'From Champions Avenue to Misery Hill', 'The Hungry Grass', 'The Hatchet Song' and 'Red River Maples'. The crowd's attention was impeccable, bucking the increasing trend in Dublin of chatter and noise during performances. In fact it was so quiet I had to time my shooting to those moments of applause and between song banter. What was the best part then? 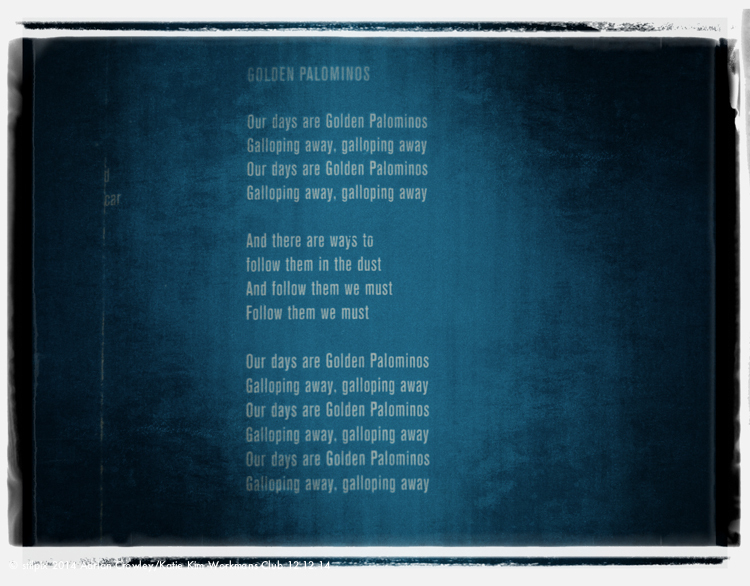 'Golden Palominos', the last song on the album was exquisite. There was a squeal of delight from the crowd as Katie Kim confirmed that someone had whispered the song title to her as she wended her way back on stage. So the show ended perfectly with Adrian Crowley and Katie Kim telling us about those golden palominos galloping away.......galloping away. 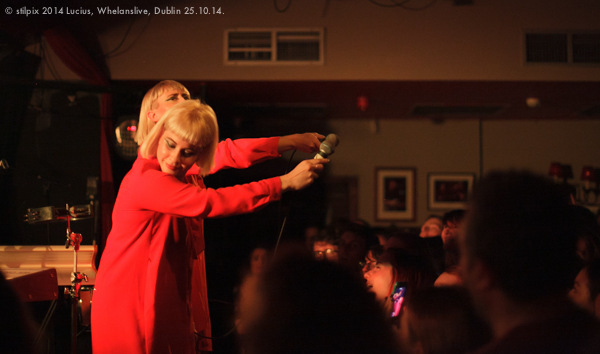 Lucius returned to Ireland in October (25th) to play at Whelans, the little beauts. 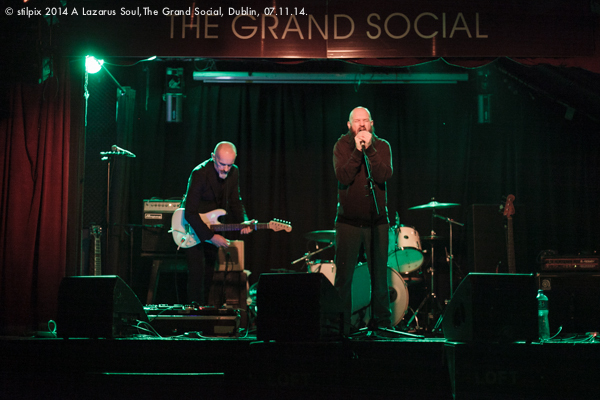 One of the hardest working bands around, the indie/soul/pop quintet raised rafters and caused other minor contruction damage to the hallowed music hall in Wexford Street. I wrote about the band's previous show in The Workmans Club here. What a difference six months made since that show. 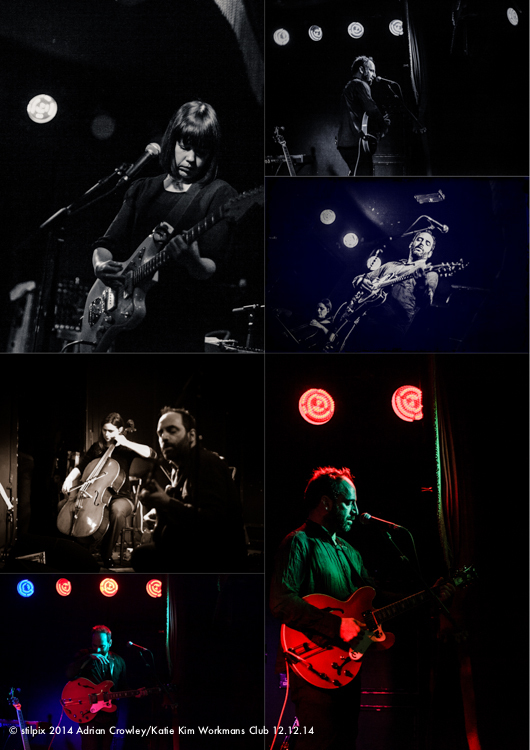 That April show well received but the atmosphere at Whelans was that thing that powers your toaster. The months of touring the 'Wildewoman' album meant that the band was as tight as a pair of seventies football shorts. In that six month interval the audience number increased by a log factor or two. 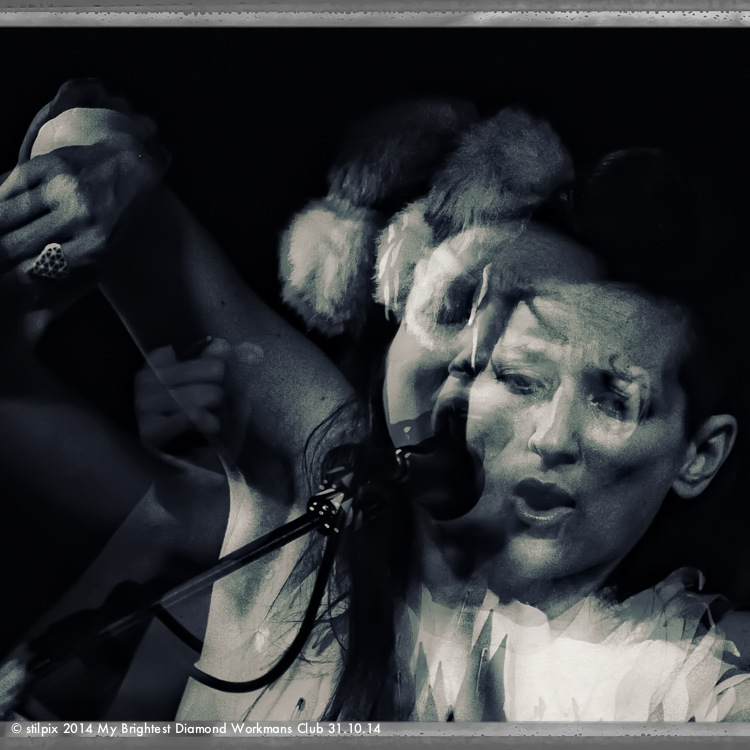 The gig was packed with great moments; the extreme percussion from lead singers Holly and Jess, the duet at the old school microphone,the audience going bonkers, the unplugged songs in the middle of the crowd as a finale. The greatest moment for me was the fleeting glance between Holly and Jess as the crowd bellowed out lyrics. The girls shook their heads and between laughs turned to the crowd, "How do you know the words? ", they asked incredulously. The crowd just continued singing. After the show my mate, with some consideration, said it was one of the best interactions he had witnessed in Whelans and he's been going there for twenty five years. We' ll leave it there so. Suppose you had a large filing cabinet, five drawers, only one will open at a time. Let's pretend your boss has asked you to file away My Brightest Diamond, you know, tidy up the place a bit. So you pick up Shara Worden (she is the main force behind My Brightest Diamond) and file her in the drawer marked 'Pop' and slam it shut. Instantly the drawer marked 'Indie Rock' pops open and Shara's head shoots out. Slam that drawer and the one marked 'Folk' opens, face smiling up at you. The drawer marked 'Opera' might also fly open. She is like that, a singer/songwriter and multi-instrumentalist that plays a mean musical hopskotch. 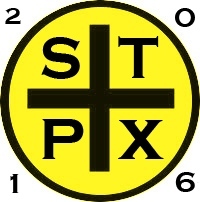 Worden is on Sufjan Steven's label, Asthmatic Kitty Records and has released four studio albums. She came on stage in colorful regalia, clothes handmade that afternoon in the Workmans. Her drummer was also suitably attired for the Halloween date of the show. You might get an idea here. Primarily the song set focussed on 2014's 'This Is My Hand' but songs from previous albums were included (non-standard tuning of songs was Worden's reason for the omission of certain tracks). Worden started the show by showering the crowd with rainbow umbrella candies and little glittering gifts. For the next hour she performed on a number of instruments. At times she reminded me of Doris Day, other times PJ Harvey. Worden has an exceptional voice (I later learned she is a classically trained in vocal performance). On one song I could have been listening to 'Ari Up' of The Slits, all choppy guitar and 'Typical Girl' intonations. Standout songs included 'Apples' (from 2008's 'A Thousand Sharks Teeth' album) and 'High, Low, Middle' (from 2011's 'All Things Will Unwind' work). Without doubt, for me, there were two show highlights: the heart stoppingly good cover of Dr. Simone's 'Feeling Good', the best I've ever heard, and the achingly gorgeous 'I Have Never Loved Someone' (2011 album above). The latter song was written for and dedicated to her son Constantine. His absence made the song even more effecting. My Brightest Diamond made, at times, a loud and raucous sound (just Worden and her drummer Tim on stage) but at all times Worden's vocals and playing were superb in an unexpectedly entertaining show that unquestionably merits attendance at a future performance.